Well flamed, aged maple back and sides, and a choice spruce top. It is fully handmade, hand-graduated and hand-varnished. 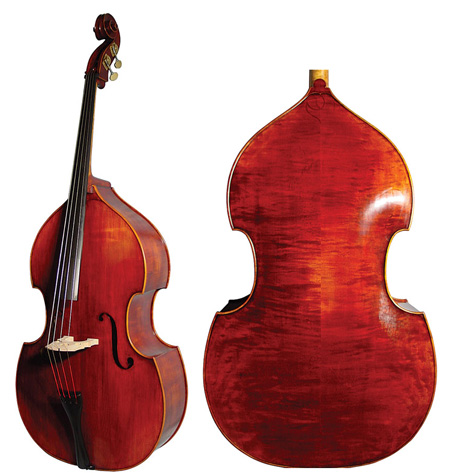 This bass looks and sounds like German basses that cost two and three times as much.